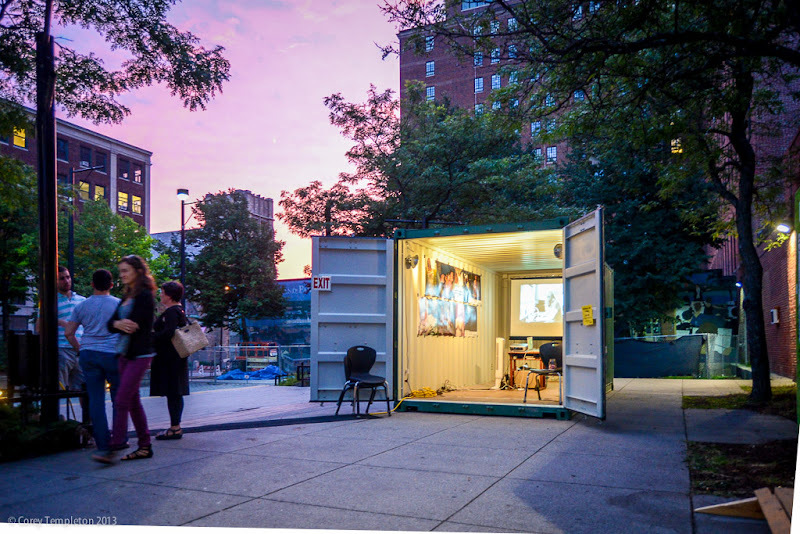 A peek inside the Photoville ME project in Congress Square, an outdoor art exhibit inside of a shipping container. The Portland container features work by Salt Institute students. It will be here until the 22nd of August, at which point it will head off to New York's Brooklyn Bridge Park for a much larger Photoville event in September. Speaking of public art, you can see a few of my photos over on the newly redesigned website of the Portland Public Art Committee. 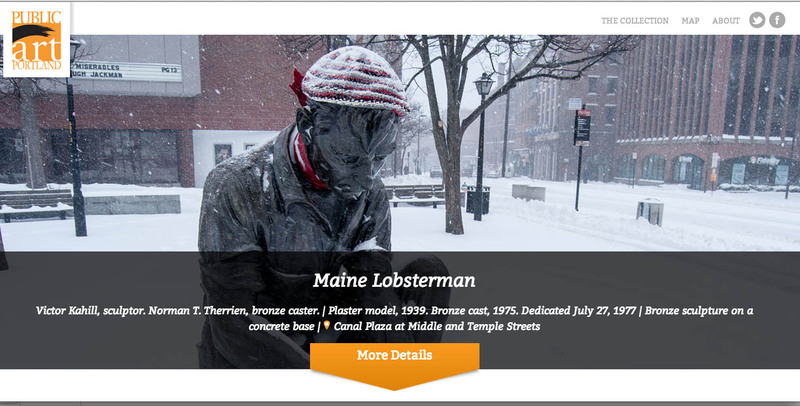 The site is a great resource for learning about the many pieces of public art around town.